I started these Jack fruit seeds in January. I used the napkin in the sandwich bag method. 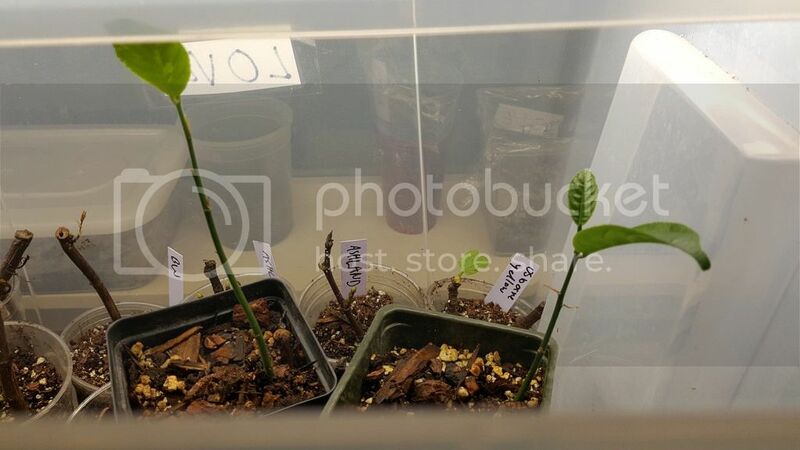 When they started to sprout about a month ago, I up potted them to 2.5 size pots. 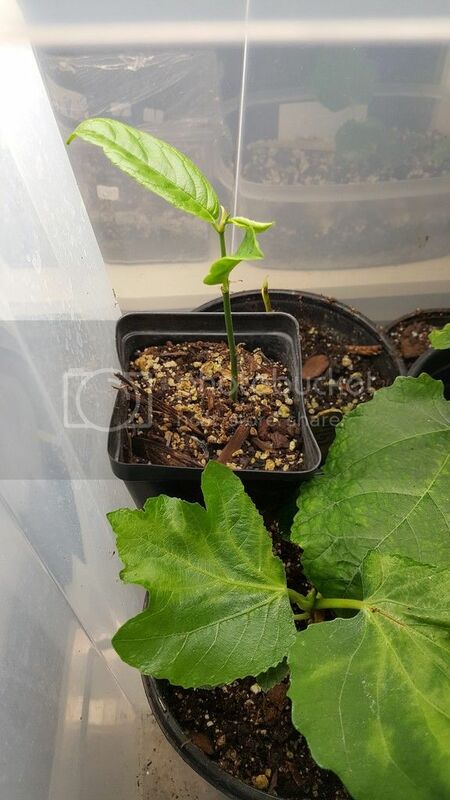 Photo taken on 3/22/16 They are sitting in my half opened humidity bin along side the tender new fig cuttings. 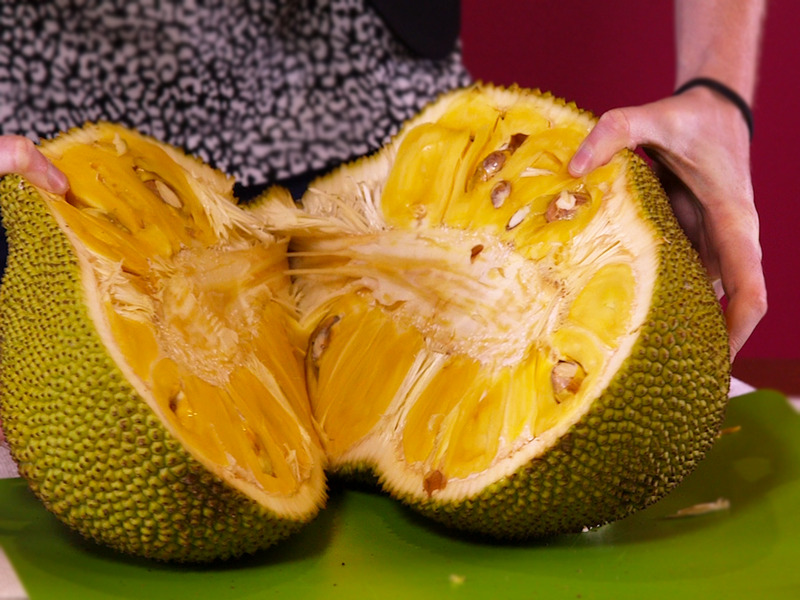 Well it's Southeastern Asian giant fruit that grows on up to 70 feet tall with spikey fruit that can weigh up to 80lbs. It can be found in most asian grocery stores. The taste is sweet with hints of honey and tropical flowers in tender leathery form.